UPDATE: This post was re-uploaded 03/23/2014. Enjoy, NØ. Before I begin to write about the music, I wanted to make a small announcement. A few days ago I lost all a great deal of feeling, strength and control, from my left-elbow to my fingers. I woke up and my arm was asleep, which of course I thought nothing of at first. After nearly an hour passed I started to worry that there might be a seriously problem. It has been more than three days now and my condition has only gotten worse. I went to the doctor a few days ago and was diagnosed with "Parathesis", which basically was a generic diagnosis the doctor gave because she honestly didn't know what was causing my condition. I'm supposed to go see a neurologist soon, who will hopefully be able to discover the source, and hopefully a cure. I bought a brace to wear on my left arm, but it still tires my arm a great deal and hurts to write, even after only a couple of minutes. When possible, I will try to make up for my lack of information with excerpts from relevant articles or reviews. For those who haven't been following along recently, we have been paying tribute to the revolutionaries and protesters who are currently fighting for their freedom across the North African and Middle Eastern regions. Since my last protest, new protests and violent clashes have broken out in Bahrain, Libya and Iran. This is turning out to be a very historic month, the likes of which have not been seen since the Velvet Revolution which occurred in 1989. Although only two countries have managed to successfully overthrow their regimes up till this point, while BLAHBLAH BLAH managed to throw successful revolutions in 1989. It remains to be seen if these countries will be able to reach their end-goal, which is regime change. Political analysts were saying that an Egyptian revolution was next to impossible, due to the social and political conditions being dramatically different than those which led to the revolution in Tunisia. I find it unlikely that the regimes in some of these countries will fall. However, I am not only paying tribute to those who are most likely to succeed in their revolutionary goals. 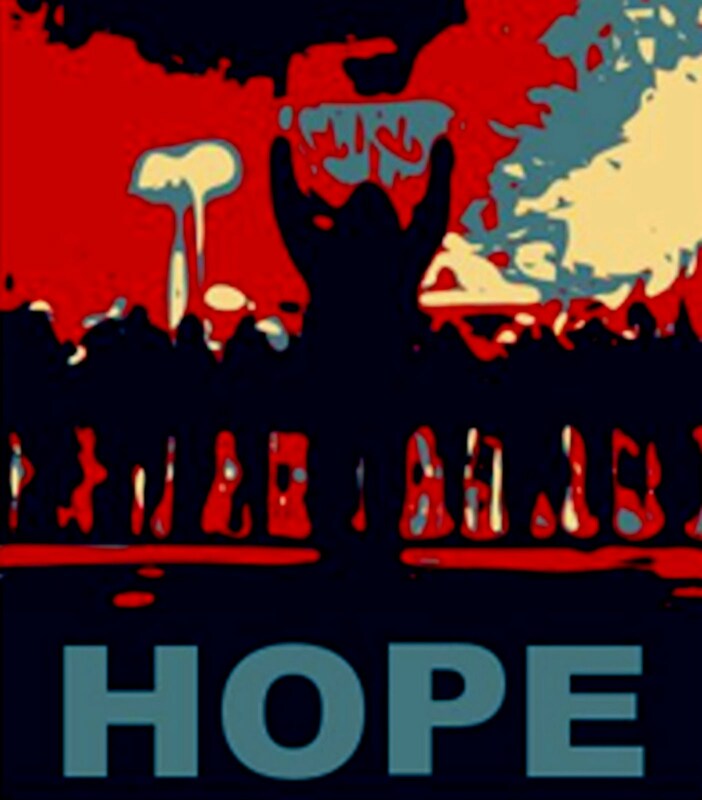 It takes a great deal of courage to stand up to an oppressive regime willing to use force against peaceful protesters, especially those who have the least support behind them, and realize that their chances are slim. I want those who are participating in these protests to know that I have a great deal of respect for their courage and dedication to strengething the moral and political infrastructure of their country. Not only do you have my support, but countless others around the world are closely watching the events unfolding in your respective countries, praying for your safety and hoping you will succeed. Although we cannot be there physically, we are with you in spirit. 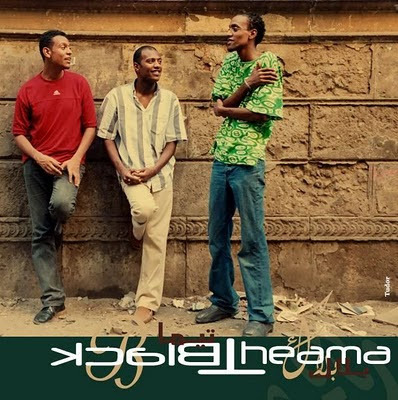 NØ recently shared a modern Egyptian band with Nubian roots, Black Theama, who play an eclectic blend of Nubian fusion. I wanted to turn back the clock a little to focus on one of my favorite acts from Egypt. There are a lot of uncertainties as far as what the future holds for Egypt, however the revolution has also given many Egyptians hope and a reason to celebrate. The music of Ali Hassan Kuban reminds me of the joyous atmosphere that spread throughout Egypt shortly after the announcement was made that Mubarak was stepping down. My arm has reached its limit now, so I'm going to close out this post by posting a couple of excerpts from the last.fm and Allmusic profiles for Ali Hassan Kuban. Ali Hassan Kuban was an Egyptian musician. 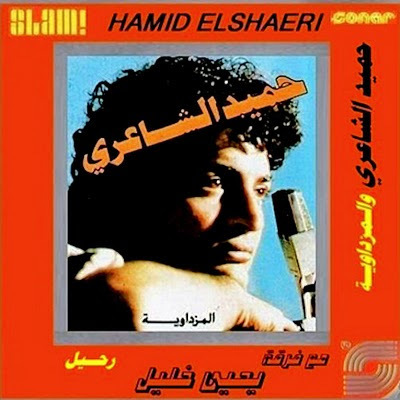 He was born in a small village in Nubia in 1929 or 1933 (sources differ on that point) and died in Cairo in 2001. Ali Hassan Kuban began his musical career as a child singing on the boats on the Nile. In 1942 he moved with his parents to Cairo where he learned to play several musical instruments. What could be a better excuse for me to post up something by my favorite band Muslimgauze, the non de guerre of Bryn Jones. Bryn used his musick to paint a statement about the conditions in the Arab world. He used the artwork of his covers to paint a picture of rebellion. We are featuring musick from the countries affected by or involved in the current popular resurgence in the Middle East but I find that Jones, an outsider from Manchester, England faithfully & honestly presented those same feeling of unrest. The ultra-prolific Bryn Jones was infatuated with the politics, music, sound, & feel of the Middle East. Almost every single release of his has sampled Middle Eastern speech, percussion, instruments, etc. 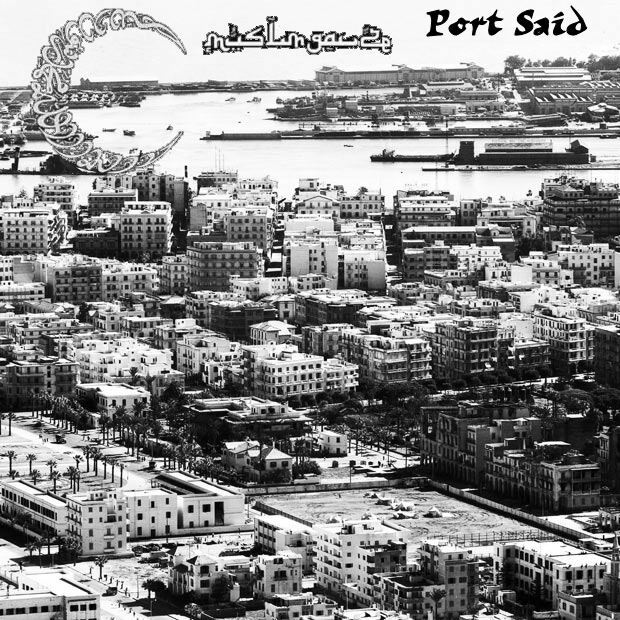 to make some of the most incredible music out there, ranging from noise to dub to hip hop to ambient to.. well, whatever Port Said is. Since this is a very limited release, long out of print, I thought it would be excellent to post here. 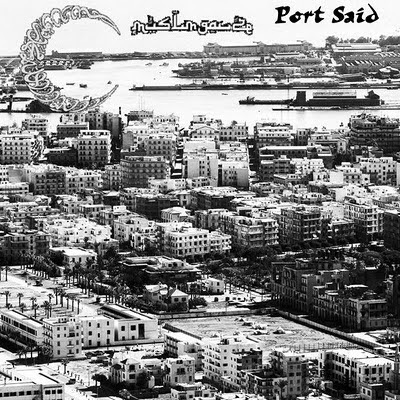 Although it is named after Egypt’s famous port, Port Said is unique among Jones’ releases in that it's one of few Muslimgauze release with absolutely NO Middle Eastern influence. 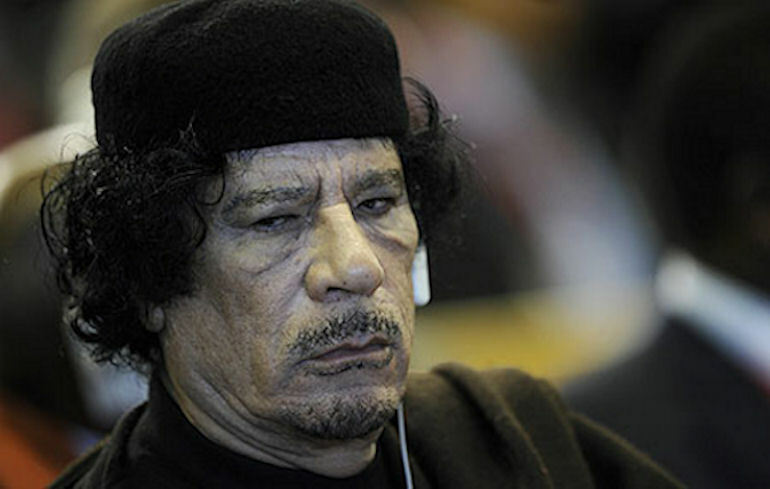 Unrest engulfed Tunisia on Saturday, January 15th after a popular rebellion forced President Zine El Abidine Ben Ali to flee the country Friday for Saudi Arabia. Then the head of the Constitutional Court declared that Ben Ali has left office for good, not temporarily & also rejected the prime minister's move to assume power. The speaker of the lower house of parliament, Fouad Mebazaa, took the highest office instead, & was given two months to organize new elections. Anger over corruption & the lack of jobs ignited a month of protests, but Ben Ali's departure, a key demand of demonstrators, has not calmed the unrest. While the protests were mostly peaceful, after Ben Ali's departure rioters burned the main train station in Tunis & looted shops. There is always the real price & bitter side of the struggle for freedom. The success in Tunisia fueled the faith & desires of the entire Arab World. Every jazz enthusiast is familiar with "Night in Tunisia" by Dizzy Gillespie. Well, here is some jazz you might actually hear some night in Tunisia. For more than forty years Fawzi Chekili has been making musick in his native Tunisia. He primary instrument is the guitar, but he also plays piano, oud & udge (an instrument that Chekili himself invented which has the combined characteristics of the Arab lute & the guitar). 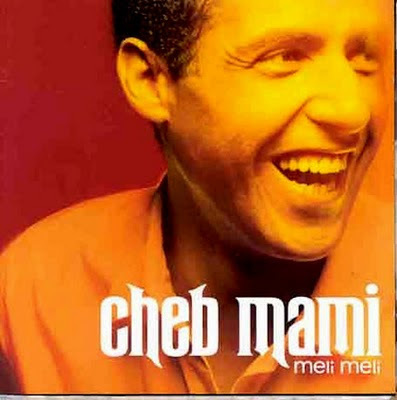 During his studies of English Letters in the U.K., Fawzi Chekili became impassioned with the world of jazz. Currently he is both a professional musickian & musick teacher in Tunis, active both in the local musick scene as well as the international stage. Chekili has recorded more than ten albums. In his compositions, he likes to mix the sounds of his native Tunisia with the sophisticated harmony from the more traditional Western jazz. In 2007 Fawzi was awarded the "National Prize of Music ". 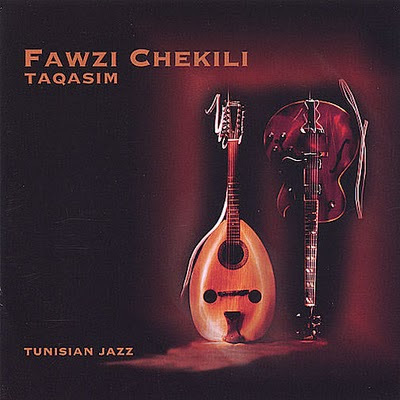 This recording is a great example of truly Tunisian jazz, a meeting between more conventional jazz & traditional Tunisian sounds such as the ney, the oriental accordion, the udgé along with a more Arabian styled percussion, all led by guitarist Fawzi Chekili. Hopefully the freedom expressed by the very formlessness within form that is jazz will be realized by the people of Tunisia. I want to take a break from the library music albums I have been posting to focus on the recent events taking place in the Middle East. Unfortunately the United States media largely ignored the revolution that exploded out of Tunisia until it was drawing to a close. 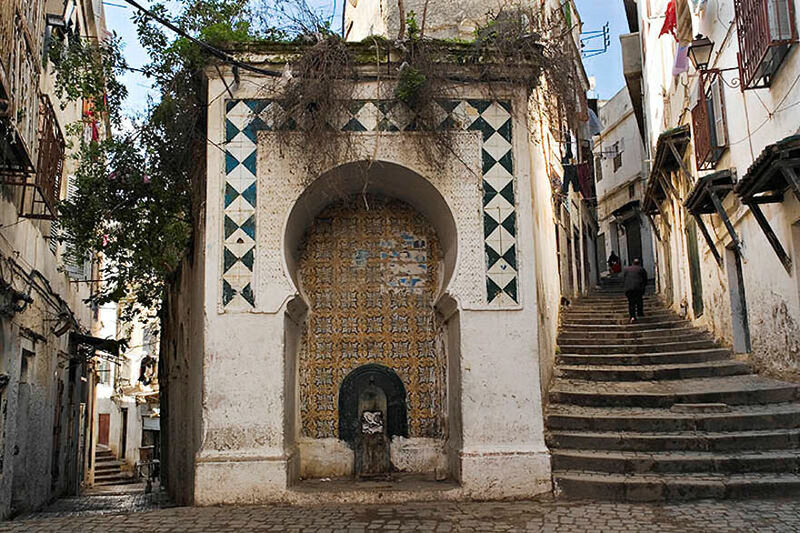 The revolution in Tunisia caused a domino effect, and sparked a wave of protests from the Maghreb region of Africa to the Middle East. Similar protests have taken place in Algeria Yemen, Jordan and Egypt, with minor protests taking place in Mauritania, Saudi Arabia, Oman, Sudan, Syria, Lybia and Morocco. During the next week I plan to share at least one album from each of the countries in which protests are taking place. Once I have done that I will resume posting library music LPs. Of these countries Egypt has received the most attention, largely because it is the most populous Middle East nation, as well as the important role it plays in the region. I have always had a strong fascination with Egyptian culture, and I have been following the situation in Egypt particularly closely. While I prefer to remain apolitical in my blog posts; however, the ongoing uprising taking place in Egypt has truly captured me, and I found it impossible not to respond. On January 25th, Egyptians stunned the world by staging mass protests against their president dictator, Hasni Mubarak, who has ruled Egypt with an iron fist for roughly 30 years. Under his rule, Egypt has been a police state, with Egyptians living under oppressive conditions, with a growing gap between the poor and the rich. Those who have dared to speak out against the regime have often been locked up, tortured, disappeared, or beaten to death. When the protests first erupted on January 25th, journalists were predicting that an Egyptian revolution would be impossible. The protestors have certainly faced one obstacle after another since the protests begun. The government sent the state police to crack down on the protestors, but they were eventually overwhelmed by the sheer number of protestors. The regime attempted to disrupt the protests by blocking access to Facebook, Twitter and other social media websites, yet tech-savy Egyptians broke through the filters using proxy servers and other workarounds. Next, the regime desperately attempted to disrupt the protests by shutting down the Internet, mobile phone networks, and railroad system throughout the country, yet more than 2 million protestors arrived at Tahir Square in spite of the severed communication and transportation networks. The world watched in horror as murderous thugs, who were reported to have been hired by the regime, attacked the peaceful protestors, leaving many of them dead and wounded. Yet protestors refused to yield their ground, and bravely fought back the pro-Mubarak group. I am simply awe-struck by the courage, determination, ingenuity and patience the Egyptian people have displayed during these protests. The world is nervously watching on, hoping that you are able to pull of what many said would be impossible. I have been watching the protests taking place in Tahir Square on Al Jazeera almost non-stop since they first started, following Twitter updates from Egyptians delivering updates from Tahir Square. I have been listening to Egyptian music when I'm not watching the news, and have painted an Egyptian flag to display above my desk. I think I speak for many when I say that although we are not physically present, we stand beside you in protesting the oppressive rule of Hosni Mubarak. Although I was born an American, right now I am an Egyptian at heart. أريد أن تأخذ استراحة من ألبومات الموسيقى مكتبة لقد تم نشر إلى التركيز على الأحداث الأخيرة التي تشهدها منطقة الشرق الأوسط. أصيب قبل بضعة أيام وأنا أعيش في منطقة من عاصفة ثلجية كبرى. تقريبا قد أغلقت كل مكان عمل باستمرار ، بما في ذلك عمل بلدي ، والتي قدمت لي الوقت لمتابعة عن كثب الأحداث الجارية في الشرق الأوسط. وللأسف الولايات المتحدة تجاهلت وسائل الاعلام الثورة تجري في تونس حتى أنه كان يقترب من نهايته. وتسببت الثورة في تونس تأثير الدومينو ، وأثار موجة من الاحتجاجات من المنطقة المغاربية من أفريقيا إلى الشرق الأوسط. اتخذت احتجاجات مماثلة في اليمن والجزائر ، والأردن ومصر ، مع احتجاجات بسيطة تجري في موريتانيا والسعودية وعمان والسودان وسوريا وليبيا والمغرب. خلال الأسبوع القادم أخطط لحصة واحدة على الأقل من الألبوم كل من البلدان التي تجري الاحتجاجات. من هذه البلدان تلقت مصر بأكبر قدر من الاهتمام ، إلى حد كبير لأن هذا هو الأكثر اكتظاظا بالسكان أمة الشرق الأوسط ، والدور الهام الذي تلعبه في المنطقة. لقد كان دائما سحر قوية مع الثقافة المصرية ، ولقد كنت تتابع الوضع عن كثب ولا سيما في مصر. الانتفاضة المستمرة التي تجري هناك استحوذت حقا لي. يوم 25 يناير ، فاجأ المصريين في العالم من خلال تنظيم احتجاجات واسعة ضد الدكتاتور ، حسني مبارك ، الذي كان في السلطة لمدة 30 سنة تقريبا. تحت حكمه ، وكانت مصر دولة بوليسية ، مع المصريين الذين يعيشون تحت ظروف قاهرة. أولئك الذين تجرأوا على التحدث علنا ضد النظام وغالبا ما كان في السجن ، وفي بعض الحالات ، حتى اختفت. وعندما اندلعت الاحتجاجات الأولى في 25 يناير ، والصحفيين توقع أن الثورة المصرية سيكون من المستحيل. واجه المتظاهرون بالتأكيد عقبة واحدة بعد أخرى منذ بدأت الاحتجاجات. وأرسلت الحكومة شرطة الولاية لاتخاذ اجراءات صارمة ضد المتظاهرين ، ولكن في نهاية المطاف تغلبت عليها من قبل العدد الكبير من المتظاهرين. حطم المصريون حتى الآن التكنولوجيا ، سافي النظام حاولوا تعطيل الاحتجاجات من خلال منع الوصول إلى أمام ، التغريد وغيرها من المواقع الاجتماعية وسائل الإعلام ، من خلال استخدام المرشحات خوادم بروكسي والحلول الأخرى. المقبل ، وحاول النظام يائسة لعرقلة احتجاجات من جانب اغلاق الإنترنت ، شبكات الهاتف المحمول ، ونظام السكك الحديدية في جميع أنحاء البلاد ، بعد أكثر من 2 مليون متظاهر في ساحة وصل طاهر على الرغم من الاتصالات قطعت وشبكات النقل. وهاجم راقب العالم في حالة رعب السفاحين القتلة ، الذين كانوا قد ابلغ الى التعاقد من قبل النظام ، والمتظاهرين المسالمين ، وترك الكثير منهم قتلى وجرحى. بعد رفض المتظاهرين لمحصول ارضه ، وقاتلوا بشجاعة الظهر جماعة مؤيدة لمبارك. أنا ببساطة الرهبة التي ضربها الشجاعة والبراعة والعزيمة والصبر الشعب المصري قد عرض خلال هذه الاحتجاجات. العالم يراقب بعصبية على ، على أمل أن كنت قادرا على سحب ما قال كثير من سيكون من المستحيل. لقد كنت أشاهد المظاهرات التي تجري في ساحة طاهر على قناة الجزيرة دون توقف تقريبا منذ أن بدأت لأول مرة ، بعد التغريد التحديثات من المصريين تسليم التحديثات من ساحة طاهر. لقد تم الاستماع إلى الموسيقى المصرية عندما أنا لا أتابع الأخبار ، ولقد رسمت لعرض العلم المصري فوق مكتبي. وأعتقد أنني أعبر عن مشاعر كثيرين عندما أقول أنه على الرغم من أننا لا وجود فعلي ، ونحن نقف الى جانبكم في احتجاجا على الحكم القمعي حسني مبارك. على الرغم من أنني ولدت في أمريكا ، والآن أنا المصري في القلب. Note: I used Google's translation service to translate my message from English to Arabic. I realize that the translation isn't perfect. I would like to make my message in Arabic as clear as possible. If anyone would be willing to provide a proper translation, I would greatly appreciate the help. ملاحظة : لقد استخدمت خدمة جوجل للترجمة لترجمة رسالتي من الانكليزية الى العربية. وأنا أدرك أن الترجمة ليست كاملة. وأود أن رسالتي في جعل اللغة العربية واضحة قدر الإمكان. إذا كان أي شخص سيكون على استعداد لتوفير الترجمة الصحيحة، وسأكون ممتنا للمساعدة.